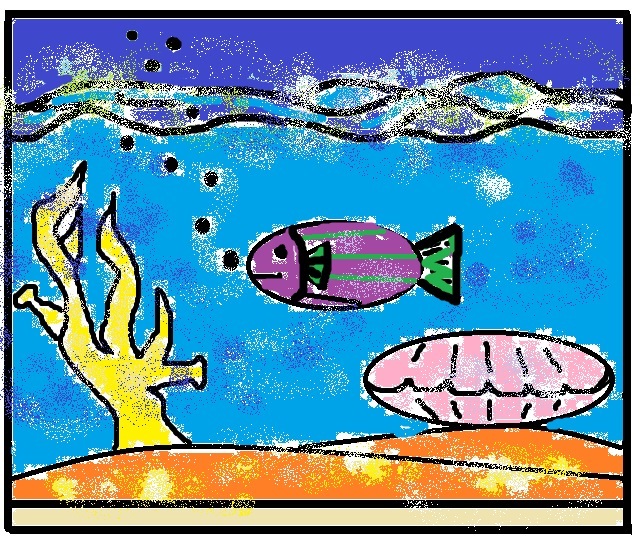 Try this “Under the Sea Art Therapy Meditation / Visual Imagery Activity” with your clients / students. It is a calming way to use color therapy and meditation together. 1. Print out a blank copy of the art therapy / visual imagery meditation worksheet below. 2. Ask your art therapy client / student to color the sand yellow, the coral orange, the clam pink, the water dark blue, the sky light blue, and the fish purple and green. After completing the art therapy meditation / visual imagery activity drawing ask your art therapy client / student if they feel more relaxed. By starting the art therapy meditation drawing at the bottom of the paper, and moving up the art therapy client’s / student’s mood should be lifted. 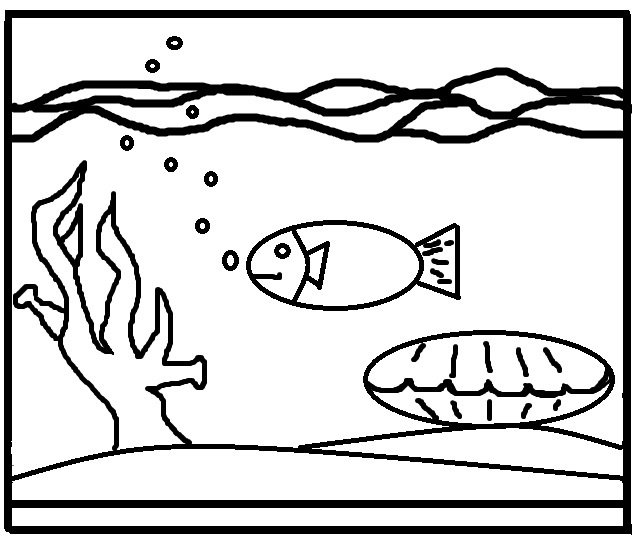 Finish the fish last for a bit of fun at the very end of the art therapy meditation drawing. This art therapy meditation is a fun way to help lift an art therapy client’s / student’s mood and teach a new meditation coping skill. I use this meditation / visual imagery activity with adults as well as kids. Try it on yourself before trying it with your clients, or students.